The National Registry of Evidence-based Programs and Practices (NREPP) is an evidence-based repository and review system designed to provide the public with reliable information on mental health and substance use interventions. All interventions in the registry have met NREPP’s minimum requirements for review. The programs’ effects on individual outcomes have been independently assessed and rated by certified NREPP reviewers. 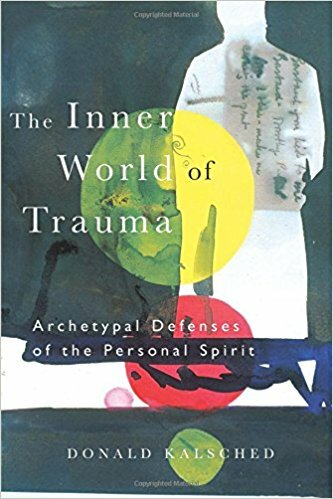 “Trauma is an injury to the capacity to feel, says Jungian analyst Donald Kalsched, who has specialized in the field of trauma for decades. He describes trauma as something that occurs when we are given more to experience than we can consciously bear, especially if we lack resources to help metabolize the feelings that emerge. “While the psyche is inherently wise, Kalsched explains, some of its wisdom is in the interest of the patient’s survival, not in the interest of wholeness at that particular time. It may be a matter of surviving in pieces in order for the deeper integration that needs to happen to occur much later. If the “inner tyrant,” as Kalsched referred to it when we spoke, relaxes his agitation and his violence and becomes more trusting in the process, then an individual can start to see some of genuine transformative experiences of healing and wholeness. “In his book, “The Inner World of Trauma,” Kalsched traces the discoveries of others on the topic (…) others call it the “critic.” Richard Schwartz, whose internal family systems theory has made an impact in trauma literature and in the healing of trauma, calls this figure a “manager,” Kalsched reports, noting that Schwartz discovered a new way of working with that inner figure which is very useful, as is Jung’s process of active imagination. First, one must see the tyrannical figure, must find some way to make it visible, he insists. When a person comes into therapy, they don’t see the defense because they’re identified with it. It’s only once it comes to light that one can come into relationship with it.